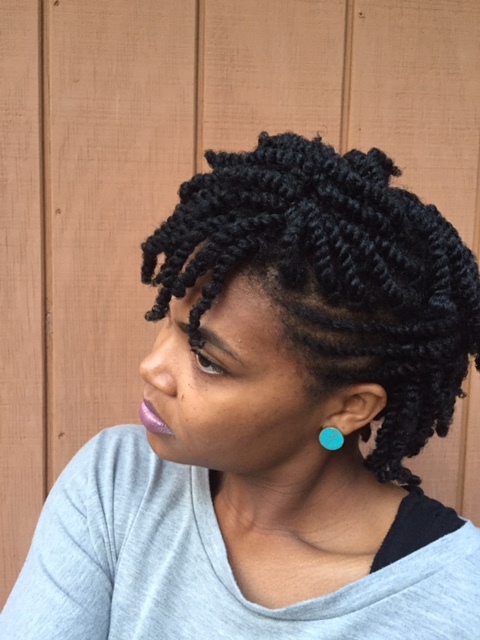 How to get Fluffy Natural Twists! I know…it’s been like forever! I miss you all! 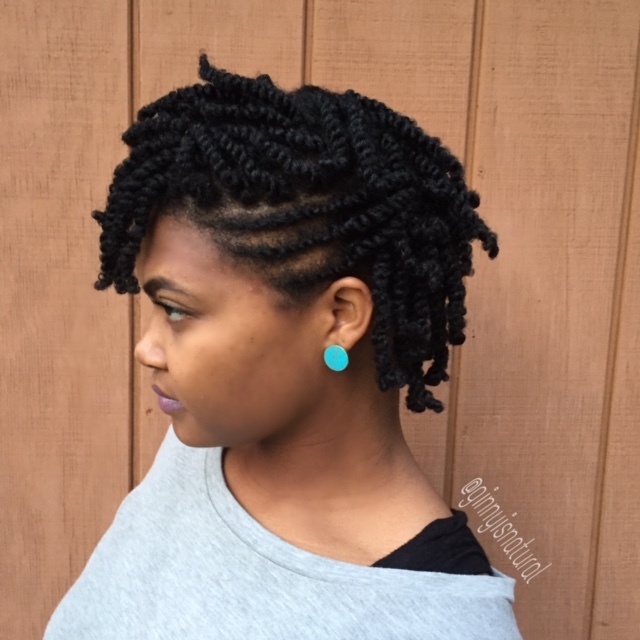 Since I did big chop number 2 last year, I’ve been getting a lot of questions on how my twists look so juice and plump. Well I will tell you! 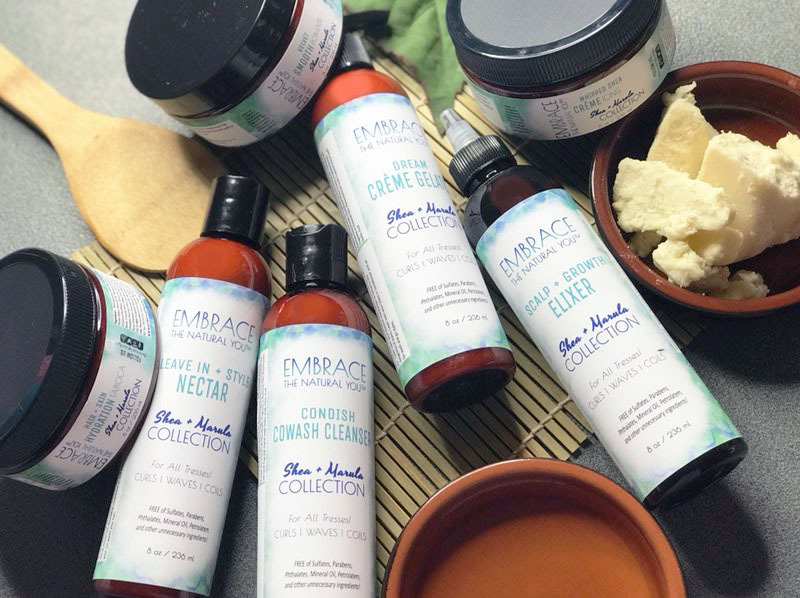 The trick is to start on freshly washed and deep conditioned hair so you hair has all the moisture possible going on! 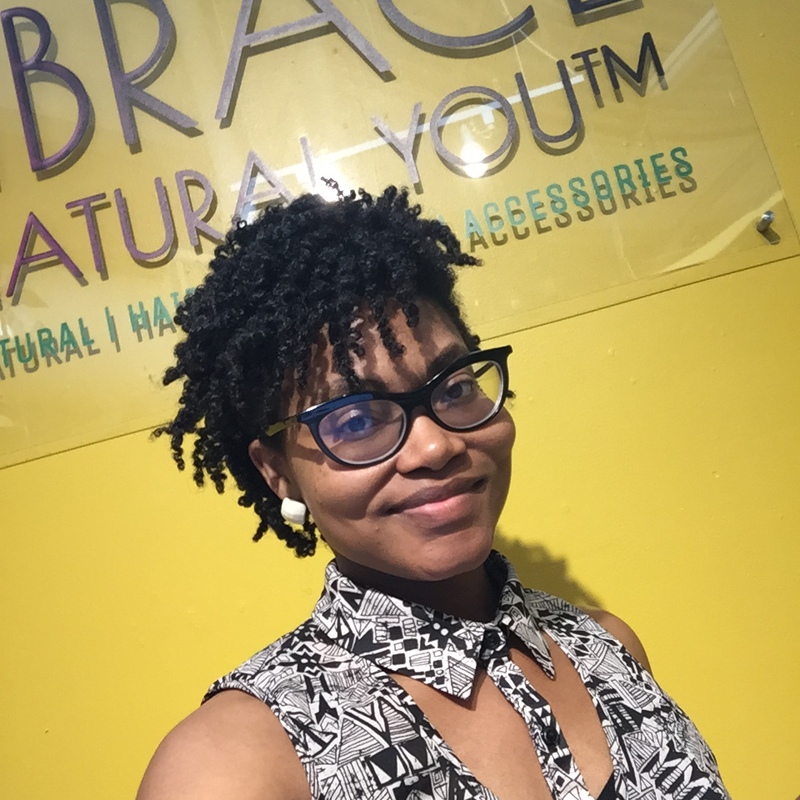 My trick is to let my hair air dry about 90% in huge plaits aka braids or twists (like 6-8) and then begin twisting with a creamy all in one moisturizing styler that has water as the first ingredient. 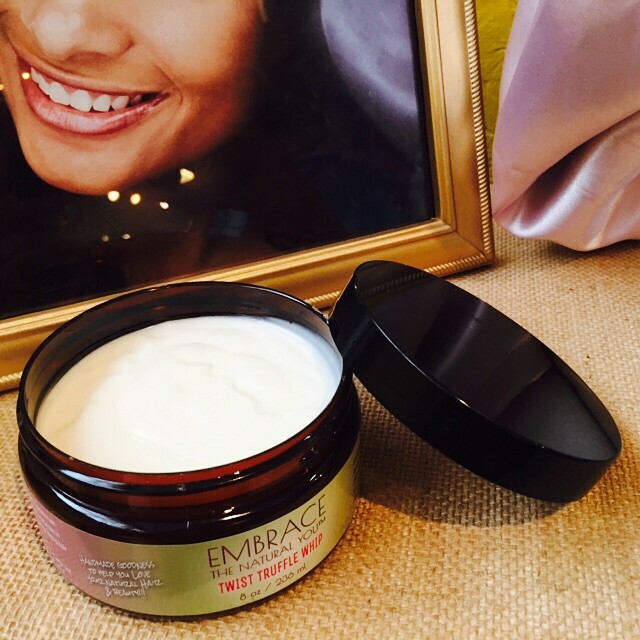 This is where the Embrace the Natural You Twist Truffle Whip comes into play. 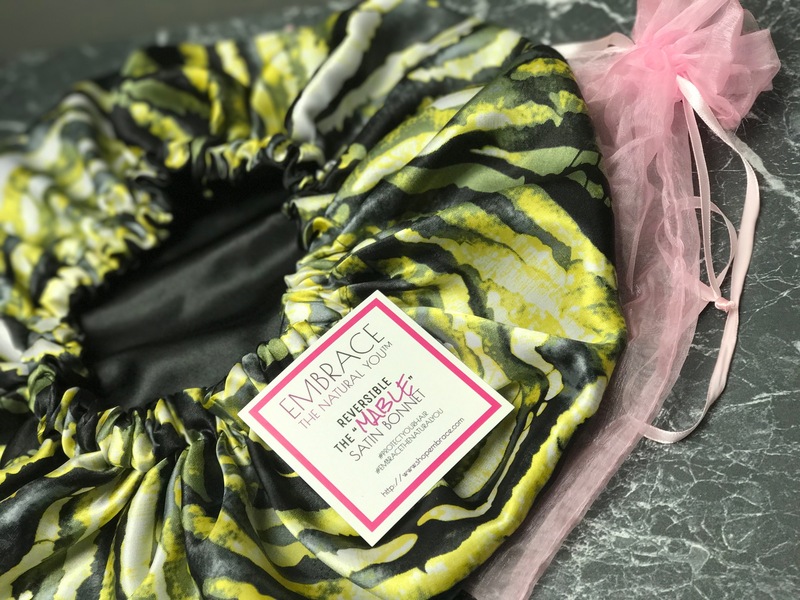 It is an all-in-one styler that is moisturizing and has water as the first ingredient and can be applied on dry or damp hair! It gives a bomb wash and go when applied to soaking wet hair for a conditioner only true wash and go. 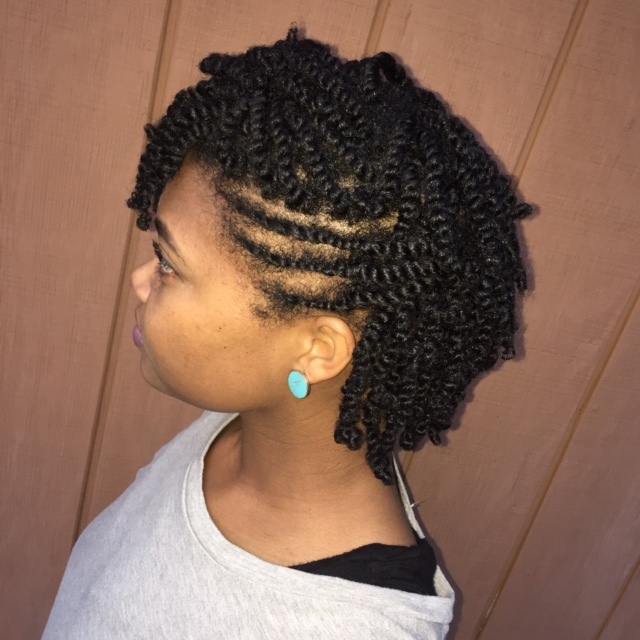 The water from the product plumps the hair shaft so that you hair appears super thick especially when doing the two strand twists! That has been my secret if you have been following my personal page on Instagram @ginnyisnatural! The style below is one of my favorites! 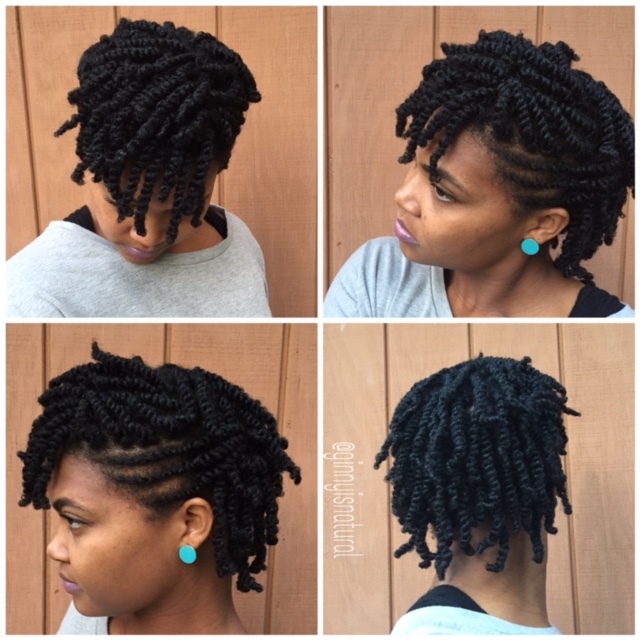 It’s a half fro hawk with two strand twists! 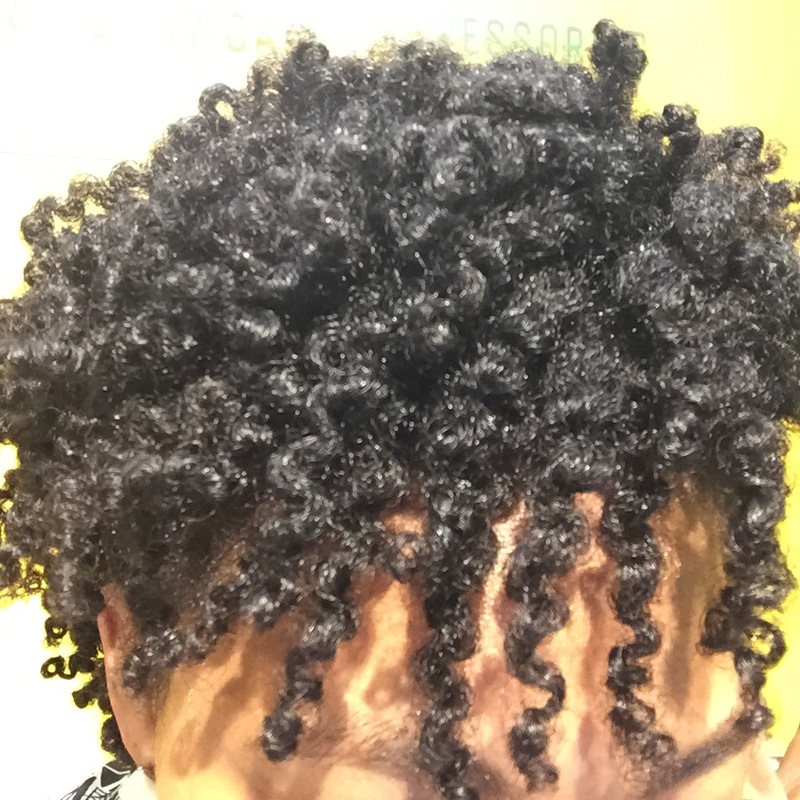 I left these twists in for over 7 days and untwisted. 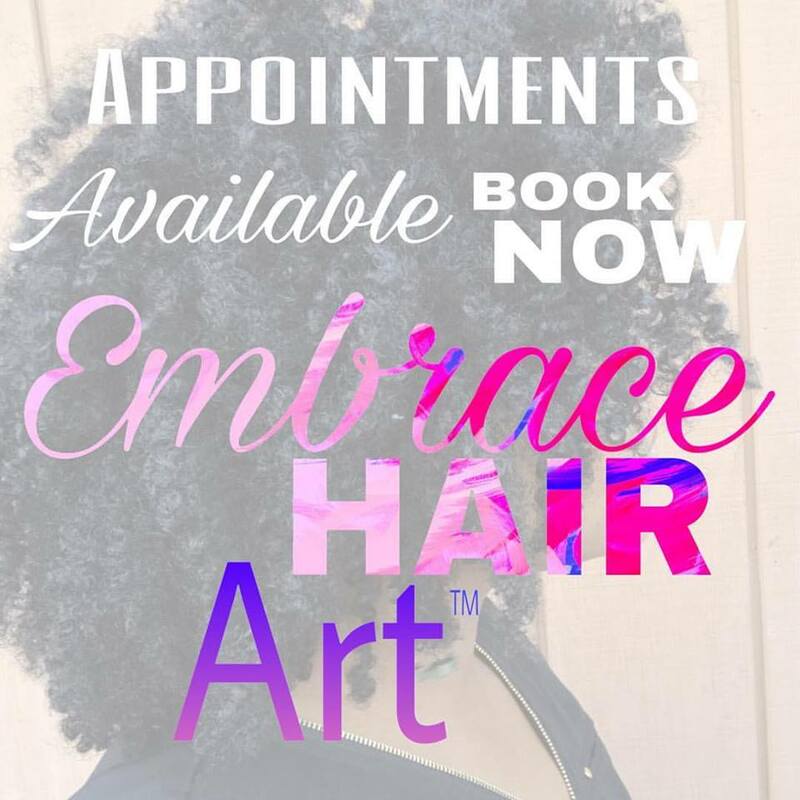 Previous Previous post: Self Acceptance and the term “Nappy”!